I have been practicing Pilates for many years and teaching for the past ten years. My interest in the technique began following a sports injury that caused back and neck pain, resulting in muscular stiffness and reduced mobility. Seeking improvement, I studied Alexander Technique and that, in turn, led me to practicing Pilates technique. The body awareness and freedom of movement that it gave me, the release in the muscles around the affected areas and subsequent re-balancing of my body was remarkable. Always keen to exercise, I had been experiencing a reluctance to move due to the associated pain. Now, pain-free and able to fully participate in advanced level exercises, I teach and share my experience with my pupils and class participants, giving them the benefit of many years of practice and study. My initial Pilates training was via the fitness industry, qualifying in the instruction of exercise to music, then proceeding to Pilates on the mat, training with Future Fit. 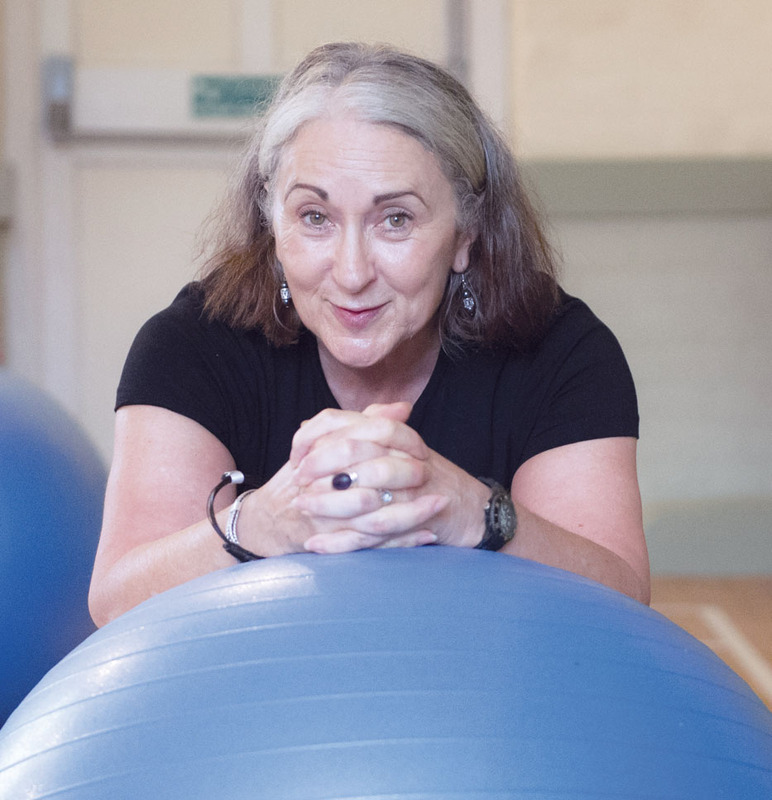 Further education has included Pilates for special populations, standing and chair-based modifications and adaptations for clients with restricted mobility. I currently work with people of all ages, from teens to the elderly. I have taught at schools and institutions and developed my own style and class formats, always trying to make exercise challenging and beneficial, safe and most of all, fun! I am a certified Polestar Reformer instructor, and deliver reformer sessions for small groups at The Studio, using the latest Balanced Body machines. Classes for beginner to advanced level participants and cardio-tone combination sessions. For the record, my continuing professional development has included advanced anatomy and physiology, bio mechanics, (SPEEDO) water-based exercise, chair-based Pilates exercise instruction for clients with limited mobility, Keiser and Startrek Spin studio cycling, group cardio training on the Pilates Reformer (jump board and strength training) (APPI) and Pilates for Pregnancy (APPI). My total body conditioning classes incorporate Pilates technique and principles of breath, flow and alignment for strength training. For those clients seeking to improve movement, or to regain movement that has been lost, I have attended many specialist workshops, addressing gait analysis, scoliosis and rehabilitation from spinal surgeries. Most recently, I have attended teacher training with Marta Sorteras, learning the Garuda method, that combines the elements of Yoga, Pilates and dance, delivered either standing or on a mat, or working on a small stool or a chair. There’s a lot on offer. Please come and try a class. I look forward to meeting you.